As we continue to advance and change the way we live, our habits push some once beloved gadgets and gizmos of the past towards extinction. The list that follows was not created in an effort to save them, but to pay them the homage they deserve. Without them, we would not be where we are today. 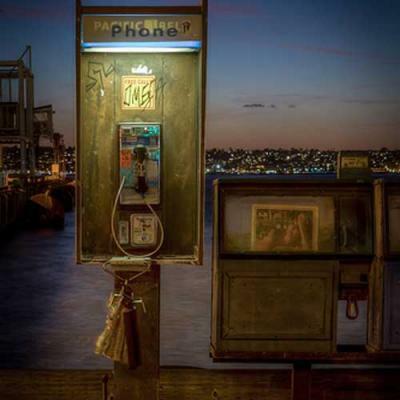 Payphones: In 1889, the coin-operated payphone was introduced. A few of these rare gems can still be spotted today, but are quickly disappearing, thanks to the cellphone. Though please consider some of the consequences that will come along with this change. Where is superman going to change? This may cause a serious delay in his response time to a crime scene. Lois Lane's days are numbered. Additionally, this lessens the chance of a sequel being made to the 2002 flick, "Phone Booth." Fax Machines: The telephone transmission fax was introduced in 1964. I am always surprised by how often it is still used, given all of the other substitute technologies available. It seems awfully cumbersome to have a land telephone line and a machine specifically for sending a copy of a piece of paper to someone who also must have landline and machine in order to receive it. Computers and scanners, which are inexpensive and readily available, are doing their best to take over the territory, yet many laggards are still clinging onto this unnecessary technology. VCRs: Videocassette recorders, introduced in the 1960s, made a loud entrance onto the market and brought the movie-viewing experience into the home. Along the way, it was challenged by Beta Max and came out on top to reign supreme…until the DVD appeared, which has now begun to fall to the almighty Blu-Ray. But remember this tech that paved the way for viewing video at home, and please remember to "Be Kind, Rewind." Dialup Internet Connection: Introduced in the late 1980s, dialup modems provided that beautiful song that children today will never get to experience. Or the frustration of being in the middle of a game and having it cut off because someone called the house! Or the satisfaction that came with completing a one-hour download for a 3-minute song that you downloaded by accident because someone misnamed the file when uploading it to Napster. These are the experiences that helped to build my character and made me who I am today, experiences that children of the future will never have. According to the 2008 Pew Internet and American Life Project study, less than 10 percent of U.S. adults were then still using dial-up Internet access. After writing this article, I noticed that with a life cycle of well over 100 years, payphones lasted forever in the realm of technology! I recognize that there are many things that could be added to this list of endangered technology species, but these are a few of the ones that I have personally watched go in the more recent years. I hope this provided you the opportunity to remember back and strike up a nostalgic conversation about yesteryear.